The first twelve weeks of a baby’s life has been termed ‘the fourth trimester’, to account for the intense needs that a newborn baby has during this time. Adjusting to life outside the womb for babies is a gradual business, and for new mums, the acknowledgement of a fourth trimester for themselves can be helpful too. You are no longer growing a baby, but your body is recovering from pregnancy and birth, and you are psychologically and neurologically adjusting to becoming a mother and responding to your baby’s needs. Your mental health in the first few weeks of motherhood can be put under strain, and it is important to look after your emotional wellbeing. The early weeks after my daughter’s traumatic birth were very tough, and I struggled with anxiety and low mood. 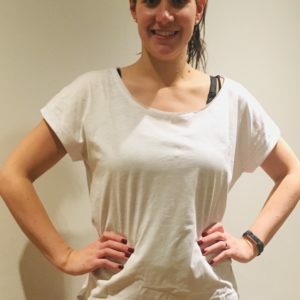 Through my training and professional experience as a clinical psychologist, I knew there were coping skills and strategies that would be helpful to new mums struggling with their mental health. 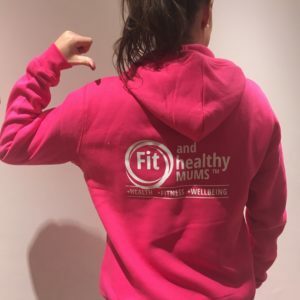 One in five women experience mental health problems during the perinatal period, but many more mums experience problems with mood, anxiety, challenges adjusting to their identity or to the new social elements of motherhood, or difficulties in their relationships after having a baby. I realised that there wasn’t a lot of access to the type of normalising, non-stigmatising information on maternal mental health that I felt should be more readily available. More to help myself than anything else, initially, and based on my personal and professional experience, I set about scribbling notes in my own diary; lists, mind maps and diagrams that helped me get through those first weeks and months. I eventually shared these ideas with a couple of friends, who encouraged me to think about writing them up for a wider audience. Typing furiously during nap times and grabbing half an hour when I could after bedtimes, I eventually wrote up my notes into a 12-week diary for new mums I called ‘Mama Notes’. It’s been a huge learning curve, as most aspects of the project have been completely new to me, from designing and printing books, setting up a website to using social media as a marketing strategy. I also wanted to be able to support services providing help and advice to new mums in need. I had used the Baby Buddy app as recommended to me by my heath visitor, and so I contacted their charity, Best Beginnings. They work closely with parents, leading healthcare professionals, royal colleges, other charities and the Department of Health to create innovative evidence-based resources, including their free multi-award-winning app. I decided to donate a percentage of every sale of Mama Notes to Best Beginnings. I still can’t quite believe that my nap time scribbles have become beautiful notebooks that new mums can use during the early weeks of motherhood, and hopefully feel more equipped to improve their emotional wellbeing during this tricky time. 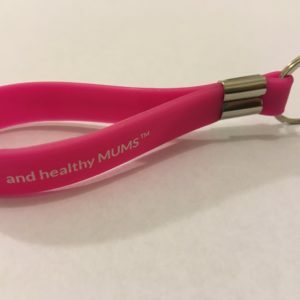 I wanted to create a meaningful gift for pregnant and new mums, and it is so rewarding getting feedback from mums using Mama Notes saying they have found it helpful. If you’re interested in finding out more about Mama Notes, I’d love for you to visit the Mama Diary website, Instagram or Facebook pages to read more and find out how to get your hands on a copy. Dr Carla Runchman is a Clinical Psychologist, mum of one, founder of Mama Diary and author of ‘Mama Notes’, a notebook for the first 12 weeks of motherhood to help mums focus on their emotional wellbeing. Together with space to make notes on newborn essentials such as feeding and nappies, each week has a wellbeing focus with ideas or activities to try, and journal pages with prompts to help you reflect on the important moments of these early weeks.